Hopefully, you’ve never had to deal with bed bugs before. While they’re relatively harmless to humans (besides the itching), it’s never fun to deal with these pests. If you suspect you may be dealing with an infestation in your home, it’s important to get in the know, then bring in the pros to get rid of them. 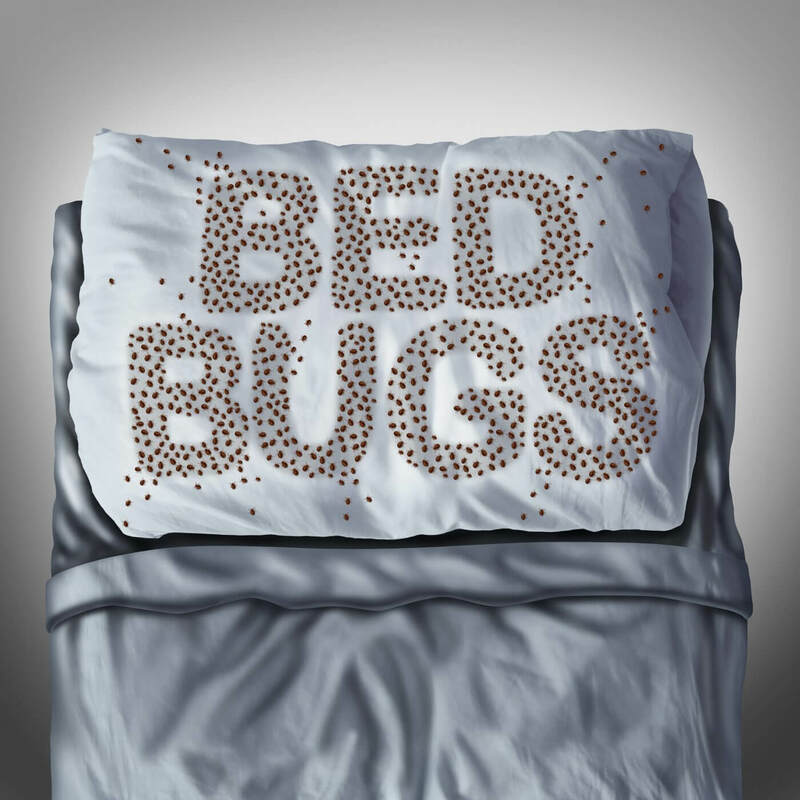 Adult bed bugs are brown to reddish-brown, approximately 3/16 inch long and ⅛ inch wide. They’re broadly oval and flat. Bites from bed bugs are essentially painless and often go unnoticed while the bugs are feeding, but there are a number of health effects that may come from bed bugs, including skin rashes and allergic symptoms. If you experience these symptoms, it may be smart to look into the possibility of an infestation in your home. Because they prefer human hosts, they’re typically found in areas with lots of people — like apartments, hotels, and schools. Bed bugs are difficult to spot and can easily go undetected for long periods of time. Bed bugs can survive extreme temperature ranges. They’re elusive and smart. Did you know they’ll actually adjust their feeding patterns to match your sleeping habits? 57% of bed bug infestations hide in your mattress and box springs. They hide in cracks and crevices like mattress seams, bed frames, nightstands, sofas, clothing, backpacks, and more. Bed bugs mature quickly, lay hundreds of eggs, and can live for almost a year. Think about how tough it would be to get rid of all of them on your own! At Bug House, we offer an extensive bed bug service where we provide a thorough inspection to confirm the presence of bed bugs, then use a combination of chemical and mechanical means to eliminate them, depending on your need. Goodnight, sleep tight… Don’t let the bed bugs bite! If they are, give us a call and we’ll take care of them.